TOMATIN, the Highland distillery, has revamped its core range with the release of Tomatin 30 year old. 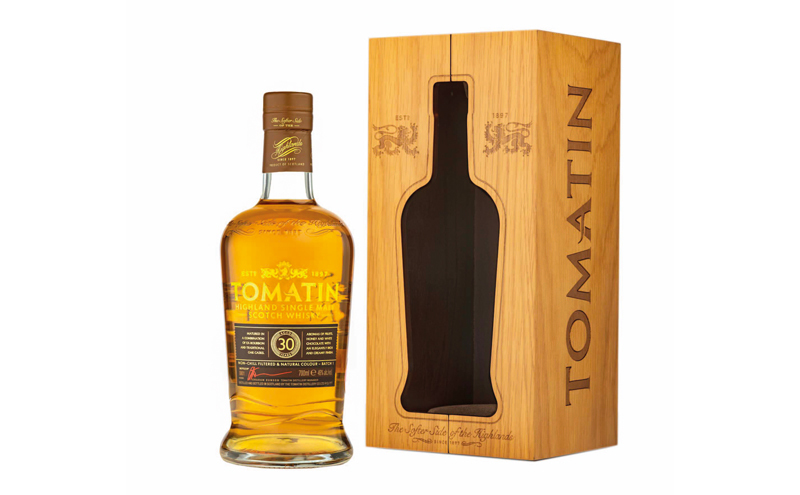 The £300 expression, bottled at 46% ABV, replaces the previous Tomatin 1988 vintage. Only 900 individually-numbered bottles are available in the UK, with each one presented in an oak box and accompanied by its own carrying case. The new release is described as having fresh aromas of soft fruits, honey and white chocolate, with tropical fruits and buttered vanilla on the palate and a rich, creamy finish. Tomatin sales director Graham Nicolson described the new expression as “elegant and flavourful – a neatly packed whisky with taste sensations to delight the senses”.